The town in the coast of Barcelona province has been the gateway to the mediterranean sea since long time ago. 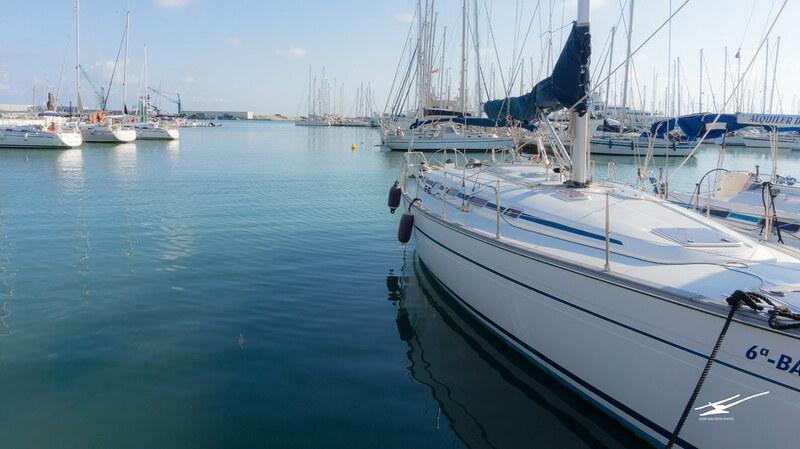 Stories of fishermen, coast village, popular festivities, and nowadays sea activities make Vilanova i la Geltrú a marvelous daytrip for all families. 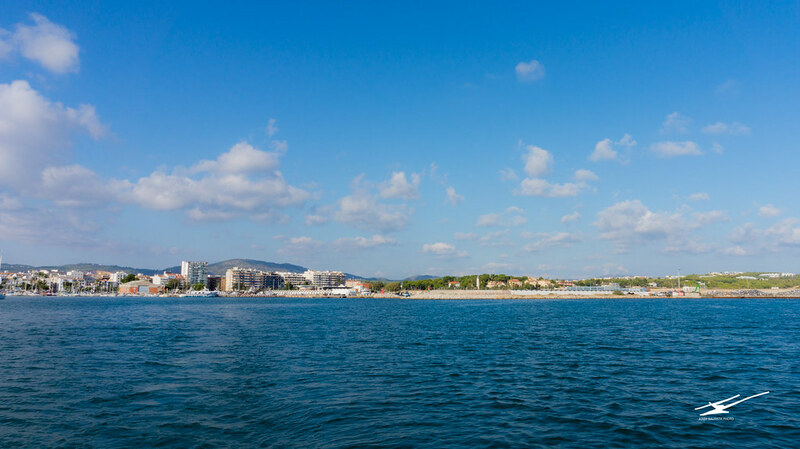 On October, with still nice and warm weather, a few travel bloggers from BCNTB and courtesy of Barcelona es molt més, ventured to this mediterranean town to discover its history and spend the day on the sea water. We got there by private bus, but there are many ways to get there. Views of Vilanova i la Geltrú, from the Sea. Our first stop was to learn about the history and traditions of the town at one of its newest facilities, the Espai Far, opened in 2016. 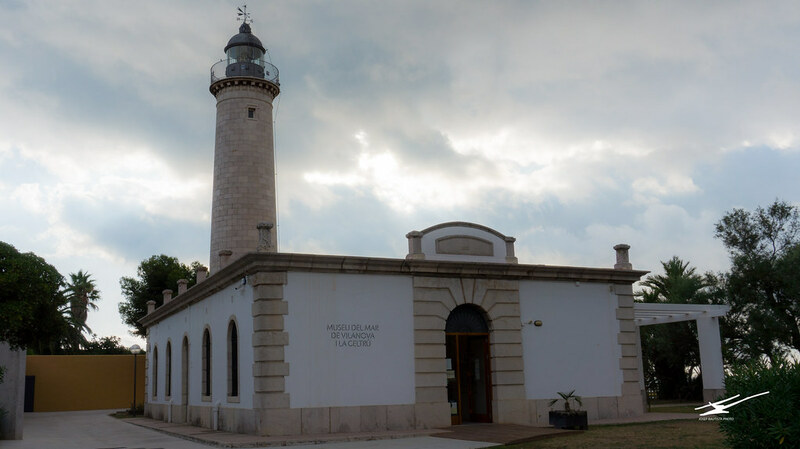 The old lighthouse of Sant Cristòfol is now a space to discover the ways of fishermen, their lifestyle and traditions, on the first space we visited, the Museum of the Sea. The Espai for lodges a second small museum, the Museum of Curiosities. 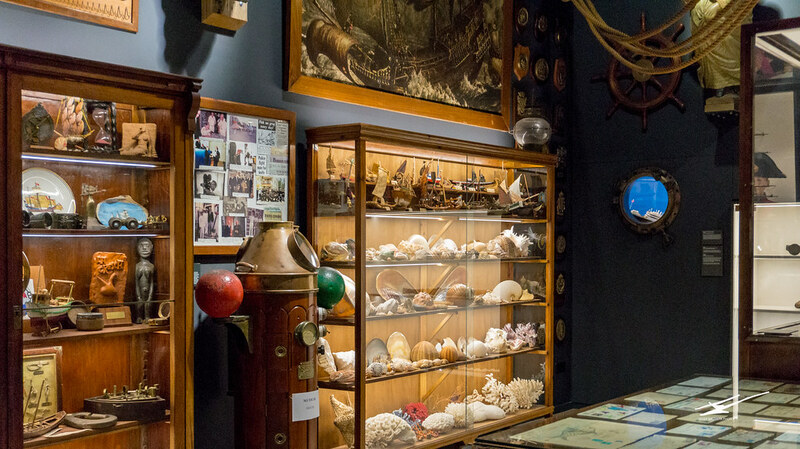 A collection of objects, paintings and curiosities of the Sea, including the World’s smallest ship ever built, seen through a magnifying lens, and “Juanita” the legend of a goldfish that was trained to eat from a spoon and drink wine. Sant Cristòfol lighthouse, renewed as museum. 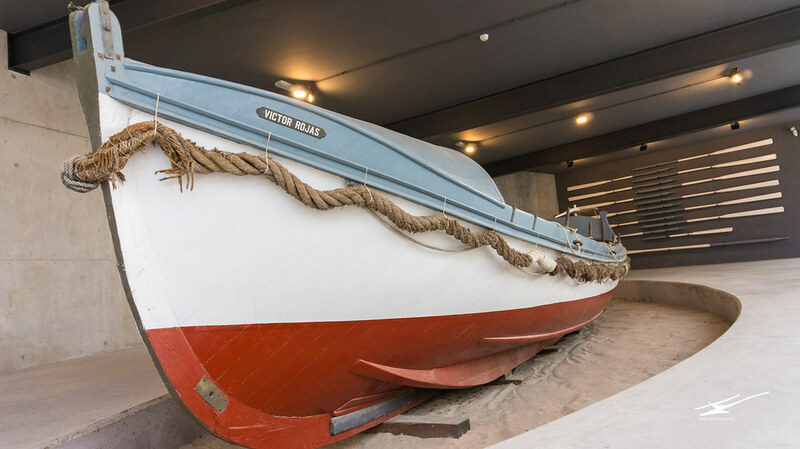 Victor Rojas, a unique lifesaving boat used in old times for rescue tasks. 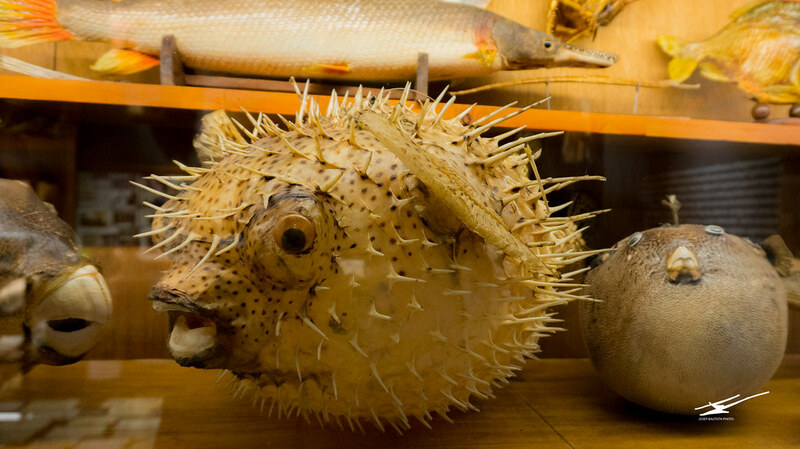 Stranger fish collection in the museum os curiosities. 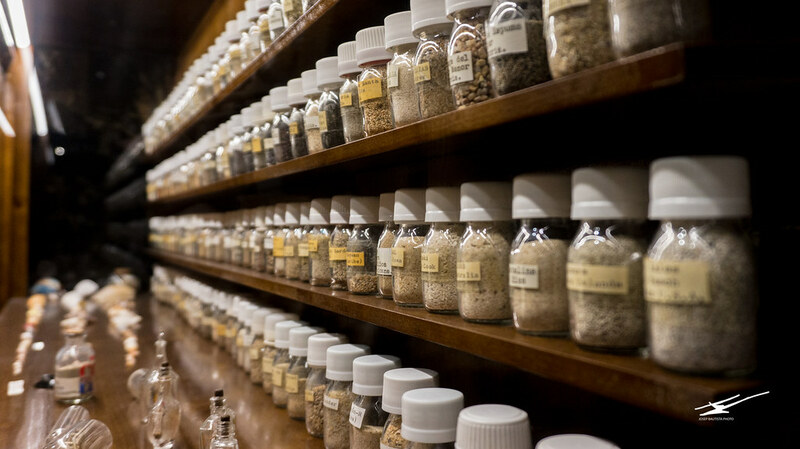 Collection of beach sands from around the World. The famous “Juanita”, even I have heard its stories since childhood. 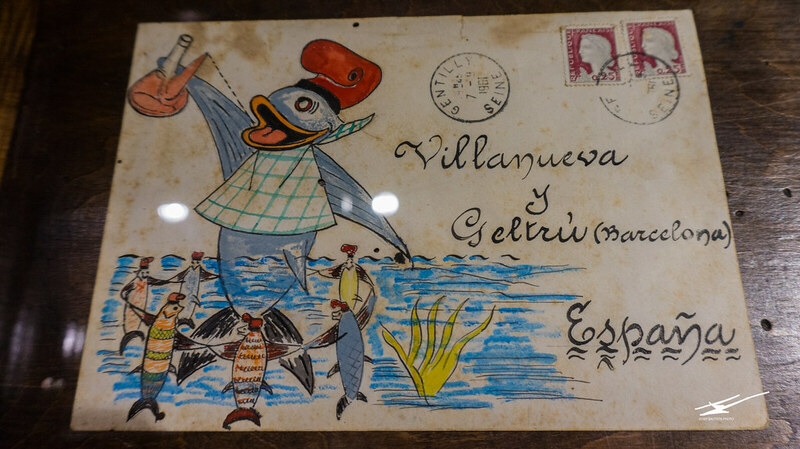 Museum of curiosities, Vilanova i la Geltrú. After our quick visit to the museums, it was time for our first dip out in the sea. On the beach of Ribes Roges our sea rides were waiting. We borrowed a few kayaks from the company Roc Roi, and after a few instructions and reminders, we were ready to exercise our arms kayaking under the Sun. The pleasant weather and the fact that it was low season made that only us were out practicing. A short advise. Stay away from the rocks and specially away from fisherman. One of them really got mad at us for getting to close, telling us that we could get tangled on the line. 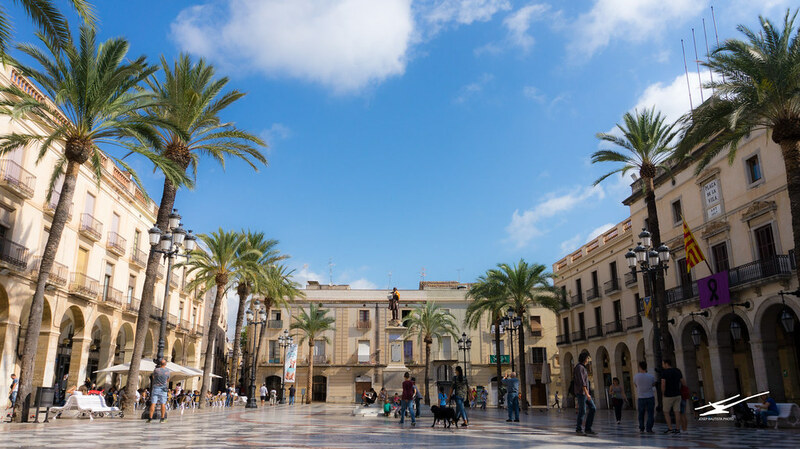 A bit after midday, and with our feet dry again, we took a walking tour through one of the town main streets, la Rambla, all the way up to the town hall square, Plaça de la Vila. With our stomachs rumbling for all the calories burnt during the morning, it was time for lunch, in the restaurant at the Gatell Hotel. 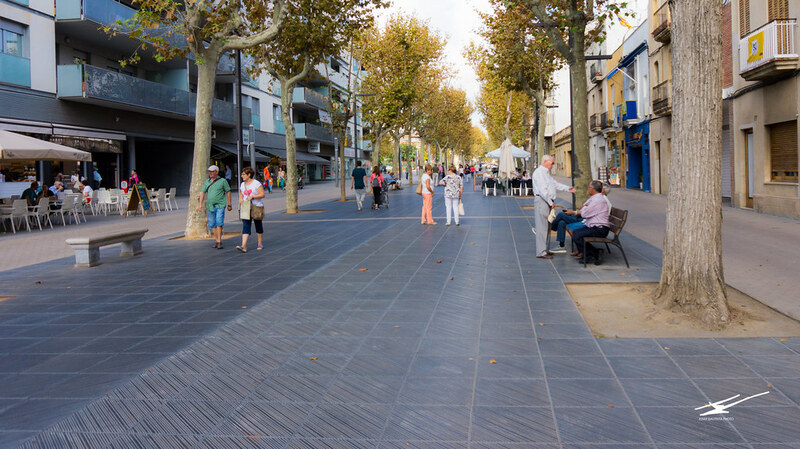 Plaça de la vila, Vilanova i la Geltrú. 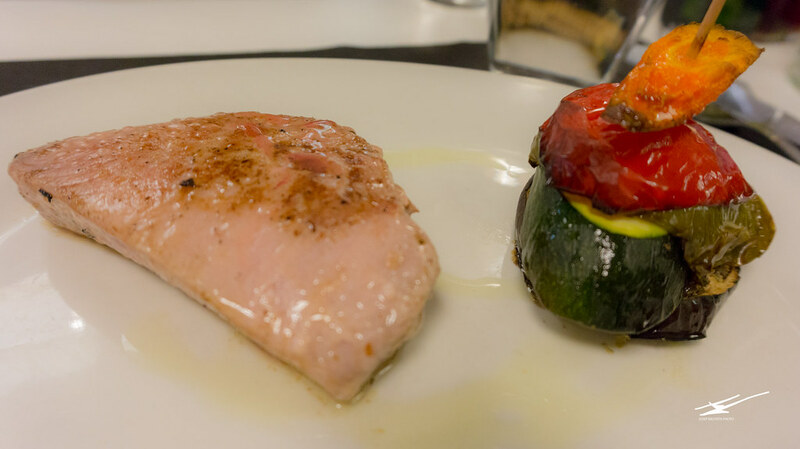 Red tuna with veggies, at Hotel Gatell restaurant, Vilanova i la Geltrú. 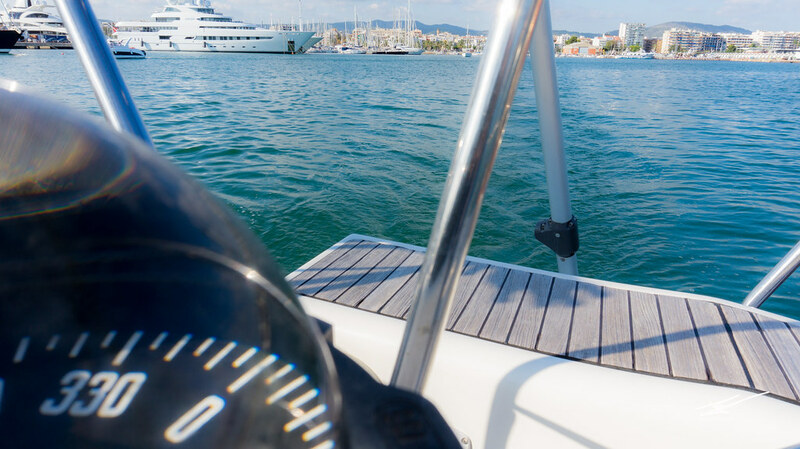 Meaning “we are people of the sea” the slogan of Vilanova i la Geltrú, our last activity for the day it couldn’t be any other than set sail on the open sea thanks to the Nautical Club in Vilanova. On board of a small ship, our captain and guide told us many of the secrets of the area and stories of the sea. A perfect afternoon cruise that it got absolutely better when we jumped off the ship to take a bath out in the sea. And now we can say, “Som gent de Mar”. Ready to get on board, at the Nautical Club. Vilanova i la Geltrú.